Howard Stringer is the bossman at Sony, running the show. He's not Japanese, but a Welsh-born American. And according to one former Sony exec, a foreigner never should have run the company. Koichiro Tsujino, who headed up Sony's Vaio division and was the president of Google Japan until earlier this year, gave a seminar in Tokyo earlier today, attended by New York Times reporter Hiroko Tabuchi. According to Tabuchi, Tsujino gave a wide array of opinions on his former employer, such as how innovative the company used to be and perfecting hardware before it is released is too slow for the web era. Much of the seminar sounds like Tsujino dispensing words of wisdom to young business people. 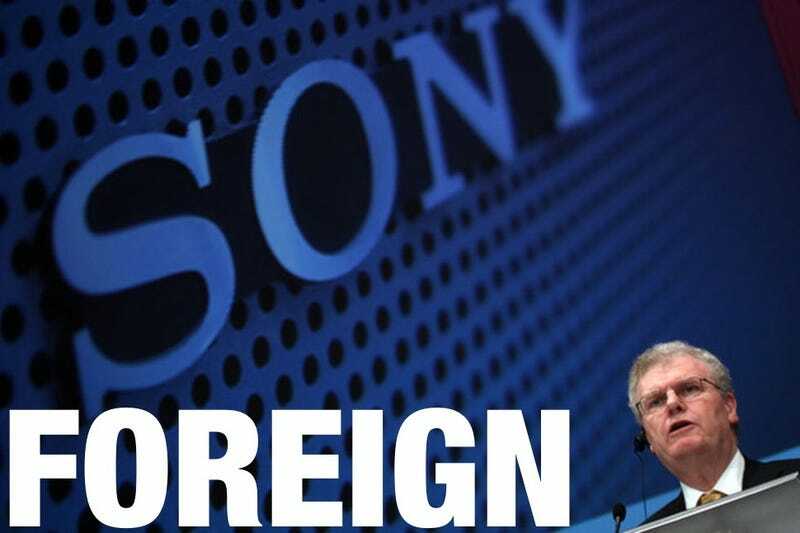 Then the U.S.-educated Tsujino stated that Sony "should never have been run by a foreigner." According to Tabuchi, Tsujino refused to elaborate, saying he'll get in trouble. Perhaps Tsujino has his reasons, and perhaps they are well-thought out reasons. Shame he isn't willing to share those reasons. Rumors were that Sony Japan brought over Stringer from Sony America in order to clean house and fire people. The thinking was that an outsider, who was not firmly entrenched in Sony Japan's corporate politics, would have an easier time making tough decisions. Late last month, a report surfaced on Bloomberg that Sony is looking at replacing Stringer with one of the possible candidates being Sony Computer Entertainment boss Kazuo Hirai. PlayStation Boss To Become Sony President? Unlike Stringer, Hirai isn't a foreigner.